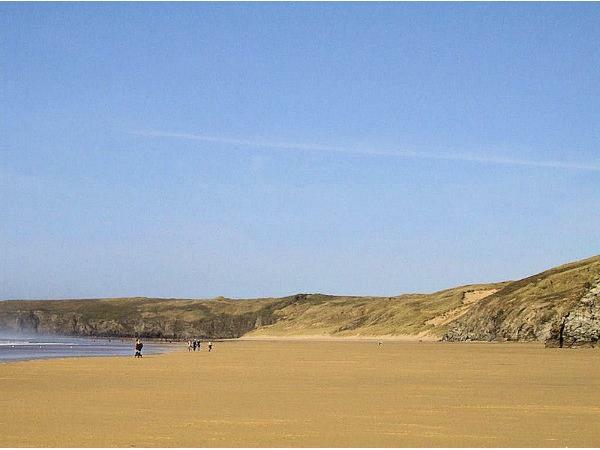 Additional Info: Skylark offers three bedrooms and far reaching views across the sand dunes. There is much space surrounding the caravan and Piran Point is an ideal location for children, ramblers and dog walkers. Are you looking for two caravans situated near each other? 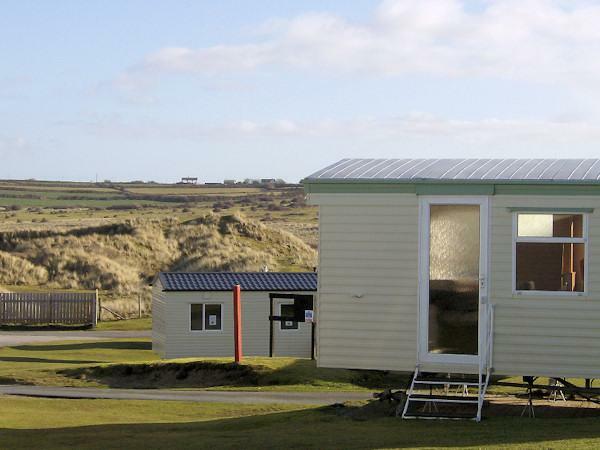 We have four other caravans, all sited at Perran Sands. 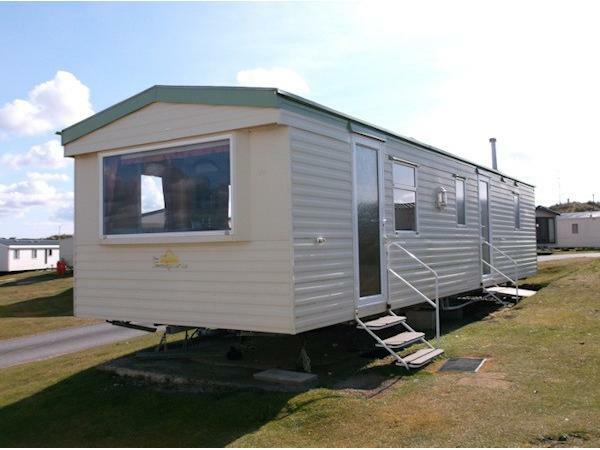 Welcome to Skylark, our privately owned and maintained static caravan, situated with far reaching views across the sand dunes in Piran Point, a quieter part of Perran Sands Holiday Park. Skylark, an Atlas Sahara caravan, 35ft long by 10ft wide, offers a fully equipped kitchen, 3 bedrooms (a double bedroom and two twin bedrooms), shower room and a separate toilet. In the lounge there is a Flat Screen TV (with a DVD player) and a gas fire. There is also a double bed stored beneath the sofa. From the lounge is access to the kitchen, where you will find, an oven and hob, microwave, toaster and fridge (with an ice box). Outside, there is much space surrounding the caravan with room to park your car. The caravan has an outside tap fitted. Dogs: We accept well behaved dogs up to the size of two Labradors or three smaller breeds. Please specify the breed(s) when making an enquiry. We charge £20.00 for one dog or £35.00 for two dogs, per week. Kindly note dogs may only be left unattended briefly if you take your own dog cage.